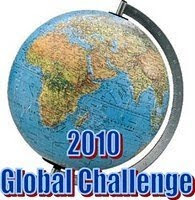 Yesterday I started my 12th book for Dorte's excellent 2010 Global Reading Challenge. I'm aiming for the 'Expert' level - to read two novels from each of the six continents, trying to read and review novels from 12 different countries if possible (and new-to-you authors), as well as two novels set in Antarctica - so a total of 14 books from 14 different authors (from 12+ countries). So I'm closing in on completion - one South American, and one Antarctica-set book to go for me, once I finish the novel I'm currently reading. Earlier this week I finished my first Antarctica-set thriller, ICE STATION by Australian author Matthew Reilly. I will post more about this book, which was incredibly mindless, verging on the ridiculous at times, but still kind of fun to read, soon. 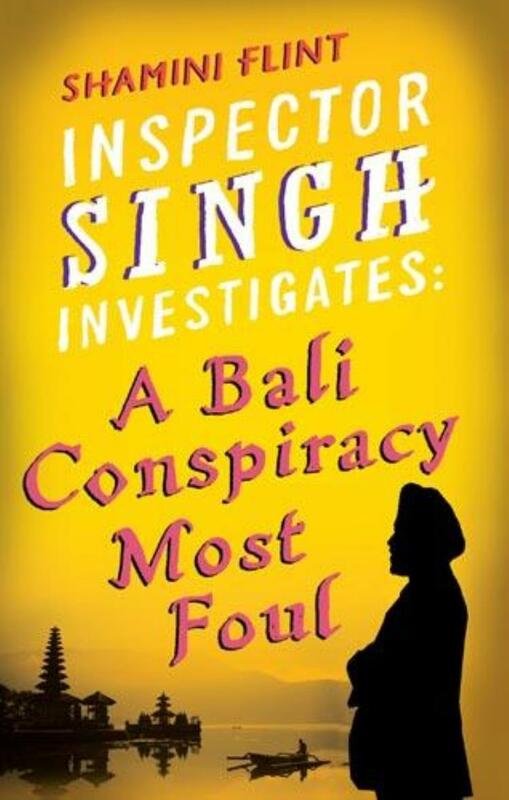 Now I'm partway through A BALI CONSPIRACY MOST FOUL by Shamini Flint - a novel written by a Singapore-based author about a portly Singapore detective of Sikh origins who travels around Asia solving crimes. The first book in the series was set in Malaysia, and this one (which was published here in NZ late last year) is set in Bali (Indonesia), following the high-profile terrorist bombings there. I am enjoying the book thusfar - it's a bit of a change of pace from some of the grittier crime I read at times, even though there has already been plenty of blown-up bits of body etc - maybe it's just the authors 'light' style that makes it seem less serious? So far it seems like a nice, 'lighter', mystery read - with interesting characters and settings. Has anyone else read any of Shamini Flint's work? What do you think? Craig - Thanks for this update. I haven't read this particular one, but I have enjoyed some of the Inspector Singh stories. I, too, enjoy a change of pace sometimes, and I like the cultural lessons I learn from the Singh stories. I read the first of Shimini Flint's books (Malaysia I think?) and I enjoyed it a lot, much more than I was expecting to, actually, from the cover and title. Looking forward to seeing what you make of this one! I have the first Shimini Flint book on my shelf, but I have some others I have planned to read before it.